2/27 – Back to the Urumqi train station we go! Our train to LiuYuan departs at 9:27am so we left the hotel before 8 to make sure we got a taxi and got through the security check points at the station. Once again, we were asked to step aside for a thorough search after our packs went through the scanner. Profiling! Again, they were interested in our canteens, but rather than confiscating the water bottles like in the US, they just make you take a drink. If you don’t die immediately, they let you pass. We entered a huge waiting area totally packed with people – think Grand Central Station, and then some. I watched the board that included our train, and assumed that all these people were waiting for different trains. When our train was announced, EVERYBODY started moving – all these people were getting on the same train! We found car 14, which was an open sleeper with 6 berths per compartment, but the compartments had no doors. We were the only ones in our section,N which was good, because I didn’t know how I would climb into an upper berth with my arm in a sling. Lots of brown desert, and brown mountains. All day. Once we far enough from the city, the sky actually turned blue! The conductor stopped by with his camera and a friend who wanted his picture taken with us. The novelty of being a westerner! We were happy to oblige. The nice conductor let us know when we were approaching our stop, and we were ready to get off by 6pm. 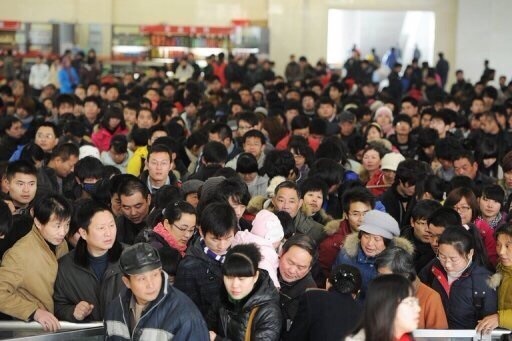 LiuYuan is a one road town that depends on the train station for its livelihood. It has no hotels, so even though it was late in the day, we had to press on to Dunhuang. As we had read, there were taxis and a minibus waiting outside the train station. 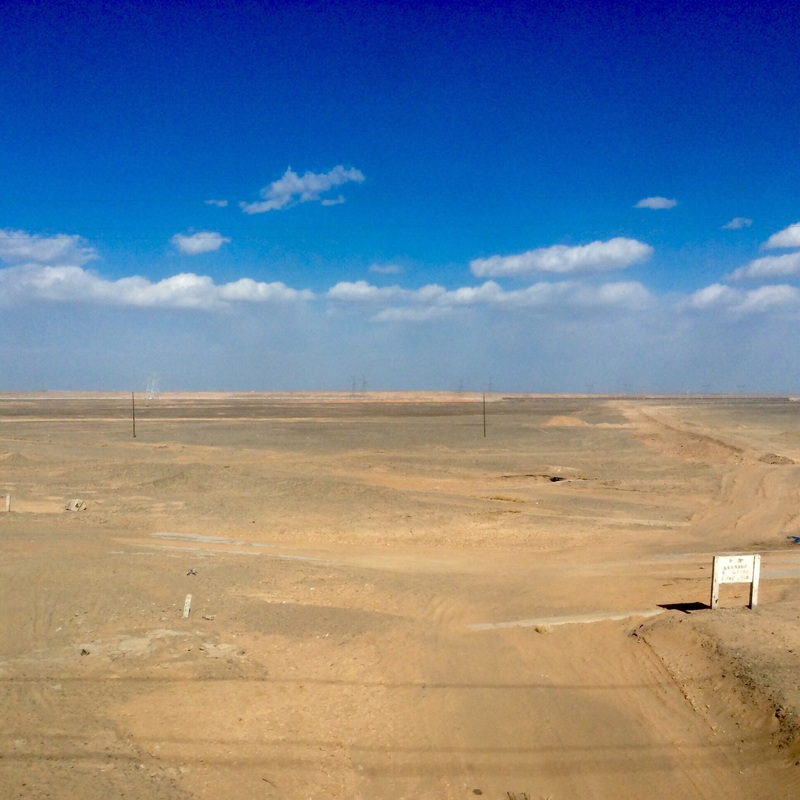 We jumped onto the minibus for the 128km /80 mile ride to Dunhuang. Sharing the ride with us were three young Chinese women on holiday. One had a bit of English, and asked if we were going to see the sights of Dunhuang tomorrow. When we replied yes, she suggested that we go together and share the taxi fare. Deal! Here’s a funny thing. The minibus had to stop for gas. As soon as the bus stopped, everybody got off, and walked briskly to the edge of the road, as far from the natural gas pumps as possible. There we stood, shivering in sub-zero temperatures, as the attendant filled the tank. Do buses explode often here? 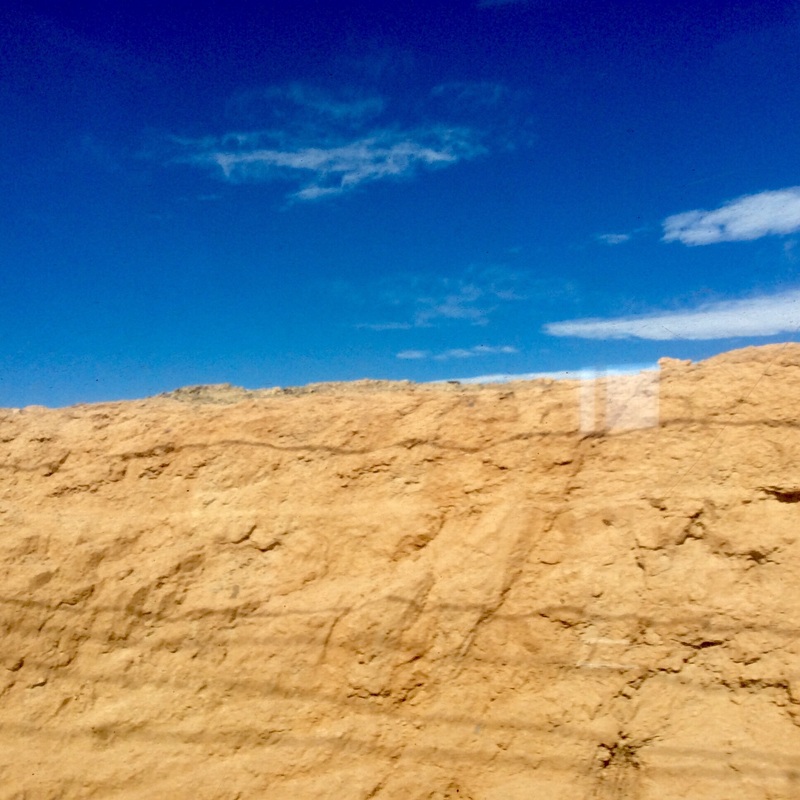 The road to Dunhuang is an absolutely straight two lanes, rutted and potholed, through absolutely flat, featureless desert. The most interesting thing was watching for the kilometer markers as we bounced along (my arm aching with every bounce). After the sun set, the ride became more interesting, as our driver expertly maneuvered around bicycles, pedestrians, and three wheeled carts with no lights at all. By 8:30pm we were in Dunhuang, a brightly lit, friendly looking town. The bus driver took us right to our hotel, and the three young women decided to stay at the same hotel too. Dunhuang was an important stop on the ancient Silk Road. Tomorrow, the sights!